The only matt black Nitrile examination glove designed to provide the performance you need to get the job done. Available in two lengths for maximum protection and comfort, Ebony are the gloves of choice when high performance hand protection is required. 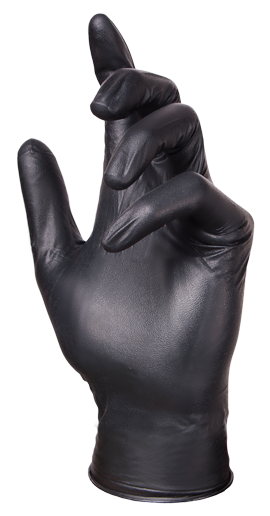 There is no softer, more flexible and hard wearing disposable Nitrile glove available than Ebony. Whether you’re looking for a glove to protect against chemicals, a glove that’s hard wearing for use in garages and engineering environments or a high performance glove to disguise inks and dyes, Ebony is the perfect glove for you. 100% NR Latex Free: Don’t be fooled by the comfort and flexibility of Ebony gloves – they are guaranteed 100% NR Latex free, making them the ideal glove for use by individuals at risk of type 1 allergic reactions. 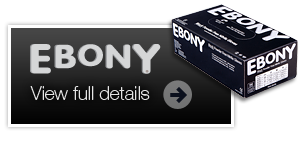 Originally available exclusively in Europe, Ebony gloves are now available worldwide through all leading disposable glove stockists.